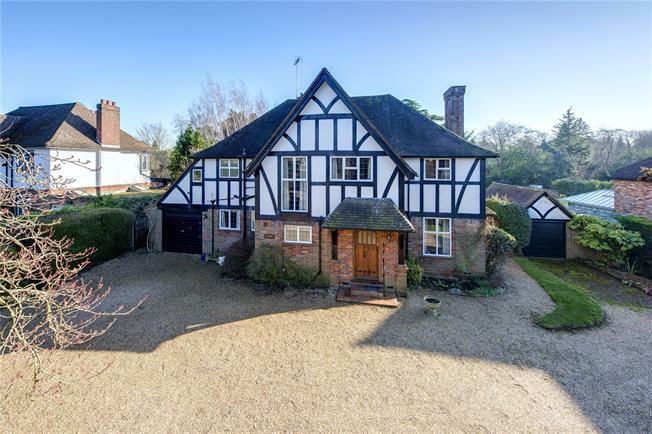 5 Bedroom Detached House For Sale in Beaconsfield for Offers in excess of £2,250,000. acre plot, there is clearly potential to develop the site with a more significant new property worthy of this key location, subject to the necessary consents. This is a rare opportunity in the town, as the original house was placed on a ‘plot and a half’ and commands an impressive 94ft frontage. Equally development of the existing house can be comfortably achieved for this prestigious and quiet location. property. This residential street has a wide variety of substantial family homes, ranging from the traditional to impressive new builds.